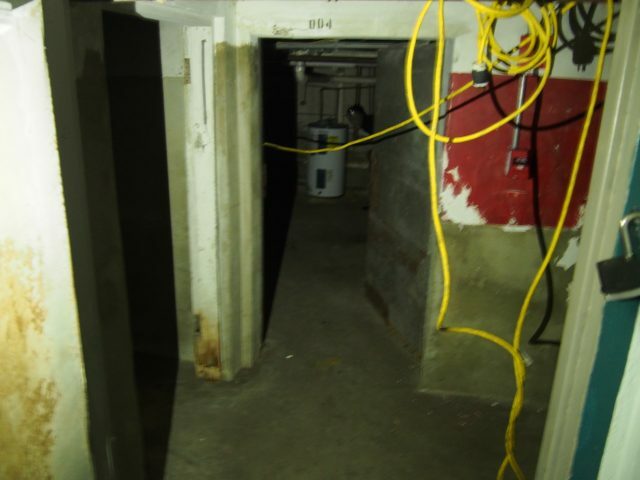 A quick peek into the basement in College Hall. As the night of fright looms ever closer, people crave the adrenaline which accompanies the haunting sensations of Halloween. Ghost stories provide the perfect outlet for that feeling, as they allow for the listeners to immerse themselves in the suspense while in the safety of their own comfort blanket. Haunted mansions and spooky corridors exist in the realm of narration and lie far away from the safety of our own beds … or do they? The shadows of unknown figures lurk in the windows of buildings just around the corner. Come along on a journey around campus and explore the stories of paranormal interactions from days gone by. College Hall, a majestic mansion whose pink exterior complements the colorful Sarasota sunsets, stands on the bayfront side of campus. Built in 1926, College Hall served as the Florida residence of Charles Ringling and his family. Charles did not live in the building that long after construction finished; unfortunately he died on Dec. 3, 1926. His wife, Edith Ringling, maintained residence in the mansion with their children, Robert and Hester, after he passed. Edith carried on in Charles’ administrative responsibilities to manage the progress of the circus. Edith’s notable impact on the circus’ continuous success earned her the nickname “Mrs. Charlie,” after a similar epithet, “Mr. Charlie,” affectionately given to Charles. 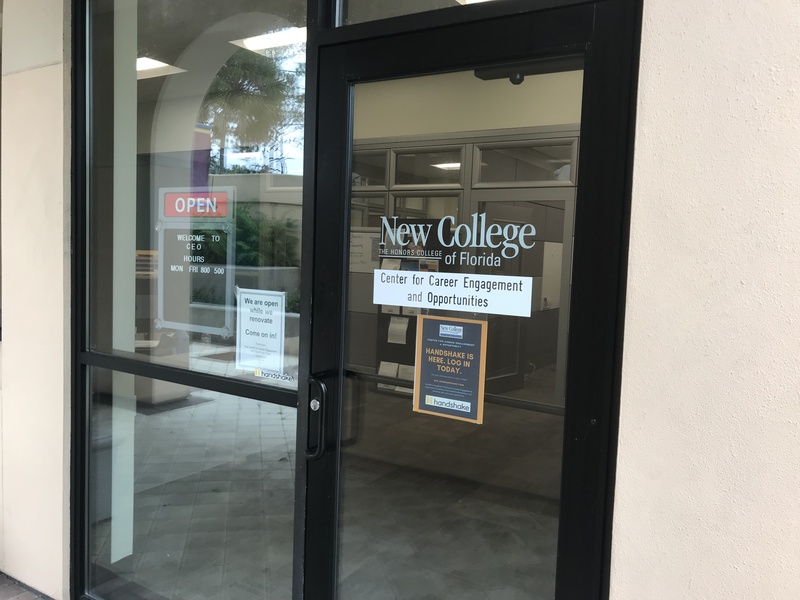 Faculty, staff and students now use College Hall as a place for work and study, but the Ringlings are not as absent as they seem. Liz Reed, one of the co-founders of the Paranormal Society of Bradenton FL (PSOBFL), along with PSOBFL members and volunteers from New College, investigated Old Caples and College Hall on Aug. 25, 2015. Both buildings received “haunted” certifications. Reed has extensive knowledge of the history of the Ringling family, and always greets Edith and Charles whenever she and her husband enter the front entrance. “We always walk in now, even when we’re just visiting the property, into his house, and we always say, ‘Hello Mr. Charlie and hello Mrs. Charlie,’ because of the story of her saving the circus after Charles died,” Reed explained. The investigation unearthed multiple pieces of evidence of paranormal activity, some of which occurred in the Music Room in College Hall. Aside from interactions with Edith, Hester and Robert, Reed reported some supernatural findings from the organ. At one point, the equipment caught two shadows upstairs, one smaller in size than the other, which they assumed belonged to one of the parents and one of the children. The spectral forms of the Ringlings live on in their mansion, according to Reed, because they enjoy the time they spent there and want to remain in their home. Along with College Hall, Reed investigated Old Caples with the same group of people that night. Old Caples has attained a notoriously frightening reputation since students and alums have spread stories about their night-time scares. The Caples building, along with the Carriage House, was built in 1930 for Ralph and Ellen Caples. Ellen passed the estate on to New College in 1962 and lived there until she died in 1972 at 98 years old. She also described an interaction with an unknown presence when she was sitting with one of the volunteers, former New College employee Andrea Knies. Moving further inland, the Palmer buildings have also generated stories of unsettling encounters. Alumna Shane Donglasan (‘10), former Catalyst editor, spent many nights in Palmer E where the Catalyst office was located in the spring semester of 2012. Donglasan experienced two different events while working in the office on seemingly normal occasions. The first time happened to her while she was alone one night. Donglasan and other Catalyst members learned after they moved into the office that Palmer E was condemned and that nobody should set foot inside the building. After hearing these stories, any brave soul that feels compelled to carry out their own paranormal investigation should be prepared. Reed encourages that people bring a friend, cell-phone and a digital camera. Information for this article was gathered from wikipedia.org, sarasotahistoryalive.com and NCF Admissions staff member Cliff Lundin.